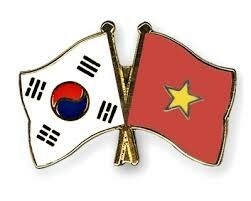 Dong Nai (VNA) - The Friendship Association of Vietnam-Republic of Korea (RoK) in the southern province of Dong Nai was established on May 27 with 90 members. Pham Minh Dao, Director of the provincial Department of Agriculture and Rural Development, was elected as the Association’s chairman. Addressing the event, Consul General of the RoK in Ho Chi Minh City Park Noh Wan said that the association’s foundation will help boost ties between the two countries. Through the association, the RoK and Dong Nai will organise cultural exchange activities as well as further strengthen cooperation in industry, creating more favourable conditions for RoK investors in the province. On the occasion, RoK businesses operating in Dong Nai presented 100,000 USD and handed over 8 classrooms and scholarships to the province.